NASHVILLE, TN — Veteran journalist Dwight Lewis, the Tennessee State University graduate who spent more than 40 years of his journalism career championing civic and social issues as a reporter and later editor for The (Nashville) Tennessean, this month was awarded the Lifetime Achievement Award of the Tennessee Chapter of the American Civil Liberties Union (ACLU). The award has been given only 13 times in the 49 year history of the ACLU Tennessee Chapter, according to Hedy Weinberg, executive director of the ACLU of Tennessee. “We are recognizing you for your powerful and compassionate voice and life-time commitment to equal treatment and protection for the disenfranchised,” Weinberg wrote in a recent letter to Lewis, notifying him of the award. “Your Tennessean columns and editorials always increased awareness about pressing civil liberties and civil rights issues,” she wrote in the letter. The ACLU recognition places Lewis among a short list of Tennesseans whose life time of work is such that they emerged as legends in their time. Among past Tennessee ACLU Lifetime Achievement Award recipients are the late journalism legend John Seigenthaler, businessman and civic leader Bernard Werthan, state Supreme Court Justice Adolph A. Birch and public servant and political activist Jane Eskind. The short list also includes the Rev. 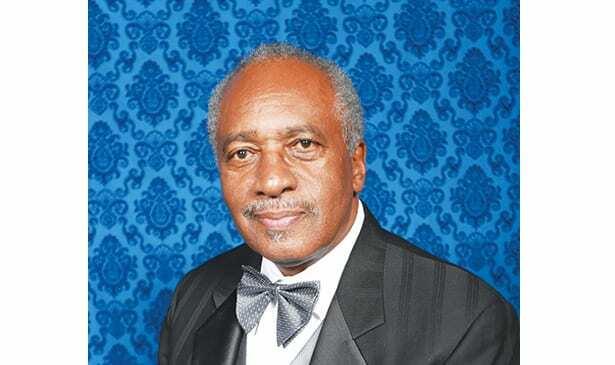 James ‘Tex’ Thomas, the late religious and social activist Will Campbell, the Rev. Edward Sanders, homeless advocate Charles Strobel, civil rights activists Blondell Strong and Dr. Charles Kimbrough, folk musicologists Guy and Candie Carawan and prisoner rights activist/theology professor Donald Beisswenger. “It’s a surprising honor,” Lewis said of the ACLU honor in a recent phone interview. He said he was “proud to be honored and included in such a group of well recognized individuals. “You always wish you could have done more, could do more,” said Lewis, 69. He has retired from the newsroom and classroom, he said, and is focusing on finishing his next book on the sports programs of his alma mater, Tennessee State University. Lewis, who aspired to be a professional baseball player while in elementary and secondary public school in East Tennessee, discovered during his college days in the late 1960’s at Tennessee State, that hitting the baseball with consistency and power was essential to making the majors past college. While he struggled with his passion for baseball, Lewis was also seen as an impressive writer. When Joselyn Center, a TSU classmate, TSU Meter reporter and campus correspondent for The Tennessean, was about to graduate, he suggested the paper pick Lewis to replace him. Lewis was soon hired as a part-time reporter for the morning daily paper, joining the staff full time in 1971 and graduating in 1972. Once in the thick of things, Lewis embraced and focused on general assignment reporting covering a wide range of topics in an era when The Tennessean was fully staffed and tackling tough subjects on a full time basis from poverty to education, community development to courts and justice for the accused, tried and convicted. Sometimes Lewis’s interest in criminal justice issues puzzled and drew the ire of some readers, such as his pursuit of interviews with James Earl Ray, the man convicted of killing the Rev. Dr. Martin Luther King Jr., Lewis wanted to hear Ray’s story, sensing, as many others did, there was more to it than initially believed. As with the scores of other stories he penned, Lewis took no side on the Ray issue. He just continued his pursuit of the facts. In uncovering facts, Lewis would let his readers reach their own opinions. In addition to co-authoring “A Will To Win,” the noted book about the late Ed Temple, legendary Tennessee State and World Olympics track coach, Lewis has participated in the writing and compilation of several books and papers. He has been a Pulitzer Prize journalism judge and received several national awards for journalism. He has advised and edited the journalism work of students at Middle Tennessee State and Tennessee State universities who had been assigned by The Tennessean and The Tennessee Tribune to cover the federal court system serving Middle Tennessee. Lewis also shared his reporting and editing skills as a part-time journalism instructor at Fisk University, education consultant/adviser for the John Seigenthaler Honors Program at Middle Tennessee State and volunteered as a mentor for The Meter, the campus newspaper at his alma mater Tennessee State. “Your choice of topics – the broken criminal system, need for greater police accountability, increased access to the ballot box, fair treatment of immigrants and refugees, over-incarceration of minority youth, education equality and racial profiling-inspired others to work toward systemic change,” Weinberger said in here letter to Lewis. The ACLU award was to be presented November 30 at the Tennessee ALCU’s annual “Constitution Uncorked” fundraising dinner in downtown Nashville.